The Qure gives a silky sheen and an unmistakable presence to vocals and guitars. The classic sound of coil filters, that are operating in proportional-Q mode, and the inimitable Qure function make this equalizer a very special one. The Qure is a fully parametric equalizer, specially designed to meet the most demanding studio applications. It is a 3-band, two-channel system with input and output gain controls, high-cut and low-cut filters as well as the new Qure control for the enhancing presence and room imaging of vocals, instruments and complex stereo material. Both balanced XLR and balanced stereo jacks are provided for signal connections to and from the Qure. The proportional-Q principle provides precise control over a frequency range, from 15Hz to 21kHz, while the low noise level of -99dB (A-weighted), and the enormous dynamic range of 113dB make the Qure ideally suited for mastering and cutting. By employing circuitry designed around the principles of perceived sound, rather than simply designing by numbers, the Qure overcomes the limitations of conventional parametric equalisers. The Qure circuitry is a SPL development which gives the name for the unit and also represents a new technology, which uses coils to influence the presence and the spatial imaging. At the same time it is ideally suited to "cure" recordings from digital harshness. The signal runs through a tube circuitry featuring an 12AX7-LPS double triode tube in a mixed current/voltage coupling mode. This stage is extremely clip-resistant and produces a pleasant and musical sounding tube-THD spectrum. The Qure On switch puts a coil/condenser/resistor filter network (LCR) into the tube output stage. This network is integrated into the coupling path of the tube and reacts on the dynamic response of the input signal by influencing THD spectra and phase response. The Qure potentiometer changes the frequency response and produces a fresh and silky top-end and a mid-range free of sharpness and harshness. 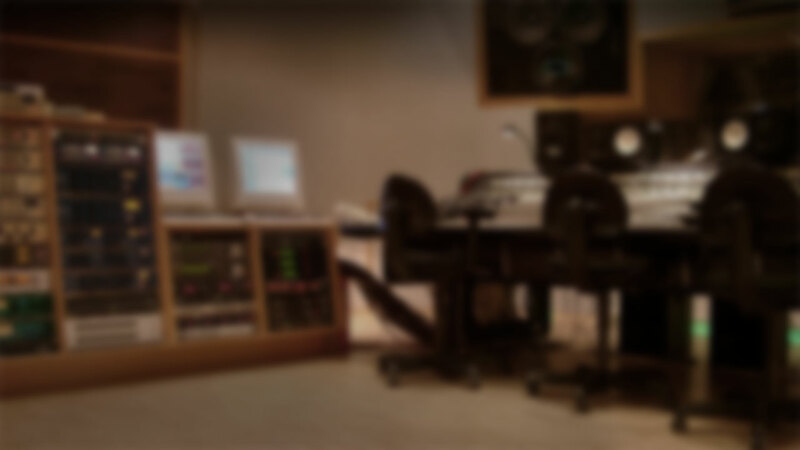 For example, vocals can be "placed" in the front of a mix without having to provide more "space", also background or layer sounds can gain improved spatial depth. Unlike most other equalisers which use constant-Q filters, the Qure adopts the proportional-Q principle to realise maximum musicality. Conventional constant-Q designs keep the amplitude constant, regardless of the adjusted bandwidth (Q). The disadvantage of this is, when it comes to sound creation, frequencies above and below the centre frequency are often boosted so intensely that they lose their musicality. With proportional-Q it is quite different; the amplitude of the processed frequency band is reduced as the bandwidth broadens. Adjusting the bandwidth back to a narrow bandwidth (high Q), will increase the amplitude of the centre frequency to its former level. Furthermore, with proportional-Q, there is no need to constantly readjust the boost/cut control when varying the bandwidth as is usually necessary with constant-Q equalisers. It is generally perceived that equalisers based upon constant-Q designs produce acoustically comparable results, and suffer from limitations in the areas of sound flexibility and musicality. Often there is only one truly usable position on the Q-control. The proportional-Q principle offers a wide range of possible potentiometer settings and makes it easier to identify the desired frequencies within the sound spectrum even subtle nuances become clearly audible. Equalising with proportional-Q is therefore more intuitive and subjectively musical than with constant-Q equalizers. The Qure forms its response curve around the centre frequency with a bell-like response, so that frequencies closer to the centre frequency are emphasised slightly more; frequencies further from the centre are less affected. The development of these filter curves was the result of extensive listening tests, and the result is an equaliser that combines technical excellence and precision with unsurpassed musicality. The Qure is configured as a two-channel, 3-band equaliser with a separate hard-bypass switch for each band. The filters are connected in series. The three filters bands cover a frequency range from 15Hz to 21kHz. In addition each channel is equipped with high- and low-cut filters. Tuning the equaliser is very intuitive because the frequency control law has been designed to match the characteristics of the human hearing system. The perfectly linear phase response of the Qure circuitry, combined with its wide bandwidth, contributes to the sonic excellence of this esoteric equaliser. The mid-band features the "non-reciprocal response’ of the Boost/Cut control which qualifies this band to operate as a notch filte, too. Cutting is allowed to -36dB at high Q (Q5) whereas the low and high band offer cutting of -15dB. The sonic advantage of the "non-reciprocal response’ design is the vast dynamic response making the filter sound very open and clear. Single op-amps are used throughout to minimize noise and THD. The Qure can be equipped with I/O transformers from Lundahl. 0dBu = 0.775 V. Subject to change without notice. Please note: Like all converter-compatible SPL products, the Qure can be ordered either with or without AD converter module. However, after sales upgrades can be made by SPL or authorized service partners only. All other products can be upgraded with the converter module easily by users also after sales.